Princess Tori in Blue. My creation on Adobe Photoshop CS5, I set the hue and saturation on the roze parts. This fan art was requested door Cynti19. Hope u all like it too ;). 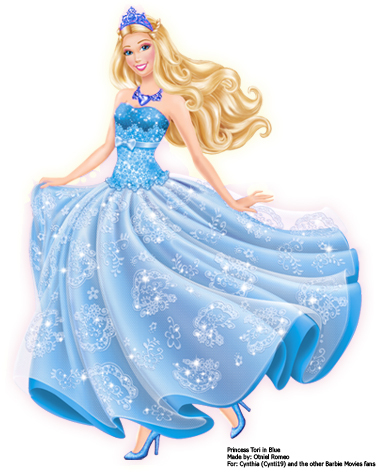 Wallpaper and background images in the Barbie films club tagged: barbie princess tori in blue popstar. This Barbie films fan art might contain japon, jurk, diner jurk, diner toga, formele, avondjurk, formeel, diner-jurk, bruidsjurk, trouwjurk, bruids jurk, wedding gown, and wedding dress.